Formative is a start-up that was founded by Craig Jones, a former teacher who taught in Los Angeles as part of Teach for America. After completing nearly four years of teaching, Jones enrolled in the MBA program at UCLA’s Anderson School of Management. Jones collaborated with his MBA classmate Kevin McFarland on developing a digital student response platform for teachers. This early platform, a precursor to Formative, won a seed money award from the Knapp Venture Competition. With the seed money, Jones and McFarland chose to launch and expand Formative. Formative can be accessed on any web browser on a Windows, Android, or Apple operating system. There is a YouTube channel that holds easy-to-understand mini-tutorials. An active community forum provides innovative tips and assessments. There is also a comprehensive user guide and a picture-based manual known as a Giffy. Technical assistance is offered via a feedback page, where users can submit their problems and receive replies by e-mails. Remarkably, Formative also provides a phone number for all types of questions, including technical support. The phone number (513-673-8278) is posted on the feedback page, in addition to an e-mail address. The Blended Learning ISTE standard is met as evidenced by Formative’s ability to bridge what is learned in the classroom to students’ digital output, with input from teachers in real-time. Formative is free to both teachers and students. Teachers and school districts can purchase a premium version, which makes available technical coaches and an expanded menu of administrative and collaborative functions. No pricing is provided on the website for the premium version, but interested parties are invited to contact Formative directly. Formative requires a minimum time investment to reach proficiency. The user interface is clean, with readable text and intuitive menus. There are templates available to create an assignment or exam, and each template is customizable. Formative does not explicitly provide accommodations for learners with special needs. However, the tool can be used in conjunction with screen-magnifying and screen-reading programs. Students under 13 must have parental consent to use Formative. Formative requires teachers to provide parents’ e-mail addresses so that consent can be obtained. Alternatively, parents can directly e-mail their consent to privacy@goformative.com. For all features to be operational, users need to permit cookie access. Cookies collect internet activity, and can be used by advertisers to direct ad pitches. Other user information gathered by Formative include Internet Protocol (IP) addresses, browser types, internet service providers, referring or exit pages, click stream data, operating systems and the dates and times the site was visited. Formative states that the information gathered is meant to improve the user experience, including information that is shared with outside websites that Formative links to (and that are clicked on by users). Formative prohibits content that is copyrighted, obscene, pornographic, defamatory, sexually explicit, violent, or discriminates against protected groups. Users are forbidden from using the tool for commercial transactions, such as contests or sweepstakes. Formative was designed for users in the United States, and makes no claim to be legal in other countries. Tellingly, Formative provides an e-mail address if anyone wishes to give feedback on their terms of service. Formative has the potential to enhance deep learning among at-risk learners. Too often, at-risk learners may be labeled as unmotivated, lazy, or lacking focus. Formative provides an opportunity for all students – especially at-risk students – to track and receive comments on their progress. This may serve to improve equity in education, as teachers can provide meaningful feedback in real-time. A pathophysiology lecturer completed a lesson on childhood disorders of the gastrointestinal system. Students have voiced misconceptions about pyloric stenosis, a congenital disorder . The lecturer uploads an image of the duodenum and pylorus, and asks students to draw the disorder’s progression on the image. The lecturer evaluates each student’s grasp of the content in real-time, and provides individualized feedback. An algebra teacher visits the Formative community forum, where a math coach shared a code that embeds the Desmos graphing calculator as a content item in a question. The teacher copies and pastes the code into a worksheet, activating the graphing calculator. She instructs her students to complete the worksheet so that they can gain practice in graphing linear equations. The teacher helps individual students identify errors made, in real-time, when solving linear equations with unknown variables. After completing a lesson on the challenging topic of capital supply and markets to students who are not majoring in economics, a professor asks the class to self-reflect on the lesson. The first question is an evaluative multiple choice question, and students can either choose one of three options: (A) I understand; (B) I somewhat understand; or (C) I do not understand. The final question is also open-ended, and students are prompted to explain a concept about capital supply and markets that was salient to them. 2. Click on “sign-up” for a free account, selecting the teacher option. 3. Type in your name, e-mail address, and create a password. Your account set-up is now complete. 4. Click on “dashboard” on the upper right area of the web page. 6. Type in a title for the assignment. 8. You are given the option of creating a short answer, multiple choice, true/false, or show your work question. (A “show your work” question permits students to draw or upload images when answering questions). 10. A sub-menu appears. You are given the option adding images, a text block, a whiteboard, or a YouTube video to the question. Select one or more of these options and follow the directives given to upload. 12. Formative then provides you with options to modify the question type and/or add content. 14. “Preview” allows teachers to test usability, by getting a student perspective on what appears on the screen. 16. A quick code will appear. Provide students with the URL https://goformative.com/join and type in the quick code to access the exam, worksheet, or homework assignment you created. 17. Students have the option of creating an account. Student accounts permits them to save and resume their work. 18. While students are completing the formative assignment, click on “live results.” You can now view in real-time how students are progressing, and review work that students have already completed. 19. Teachers can intervene in real-time to help students who may be encountering challenges answering questions. 20. Students can see their progress when submitting answers, as there is an option to automatically check student answers against the answer key. Every correct answer results in a green light. Incorrect answers produce a red light. 21. Graded results can be exported into a CSV file, which is compatible with various grade books. 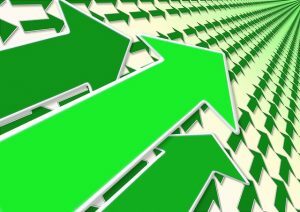 A green arrow moving forward among other green arrows. This is meant to allude to the green check marks that Formative provides students for correct answers. Also, the forward movement of the green arrows indicates progress. 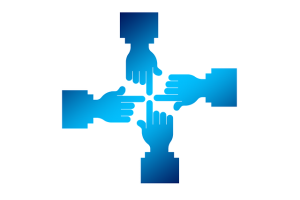 This image evokes the collaborative community forum available through Formative. The forum presents an opportunity for teachers to expand their professional learning networks. Welcome! This review is on the free online tool Formative. Formative is a handy online tool that allows teachers to create classwork, homework, or assessments such as quizzes or exams. What is especially compelling about Formative is the ability to provide feedback in real-time as students are completing their assignments. This can all be done from the teacher’s desktop. It eliminates the need to check in with every student to assess their work. After creating an account, and logging in, you are taken to the dashboard. The dashboard has several templates that teachers can use to build an assignment. Teachers provide a code to students — known as a quick code — to grant them access to assignments. A quick code can be entered on the top right corner of the screen. “Show your work” is another innovative feature. Students can draw or submit images in response to a question or a prompt. For this assignment, students submitted geometric calculations and drawings of basketball courts. The three students who have green boxes appear on the top of their assignment completed the assignment satisfactorily. One student with the orange box was not successful with this assignment, and will have to re-do it. And that’s a wrap for today! For more of my review of Formative, feel free to peruse the website.